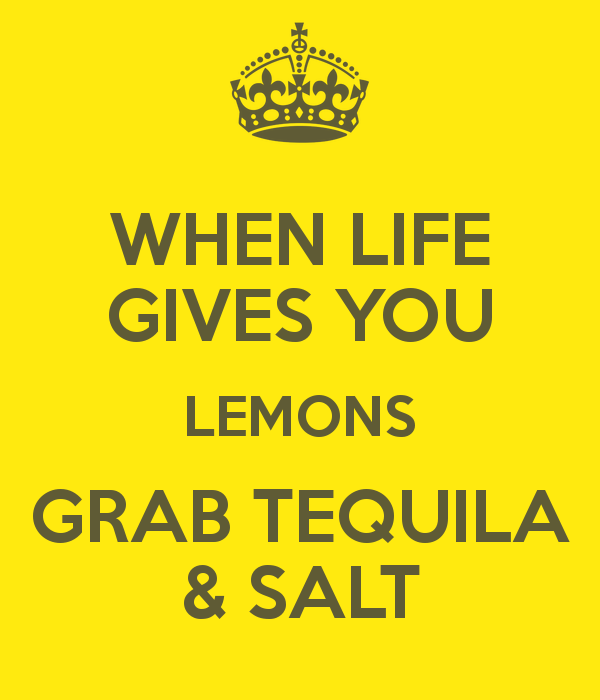 When life gives you lemons… grab tequila & salt! Many of you ask me how to stay motivated when you’re sad or feel powerless. I am flattered, guys. Thank you for trusting me. I must admit, the most difficult task is to motivate yourself, even if you’re good at motivating others. Managers and HR people will know what I’m talking about. The trick is to keep breathing, as Shirley Manson, the lead vocalist of Garbage, would say.